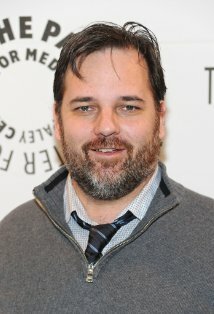 Why would Dan Harmon return to Community? As news broke of Dan Harmon’s potential return to Community, it felt like an Internet rumor that Deadline would start in order to drum up potential hits. That’s because that’s what it was, of course, another one of the myriad of “scoops” that Nellie Andreeva gets from her sources at Sony TV who use her as a pipeline to the Internet rumor mill. This doesn’t mean the story is untrue, of course, but rather that there’s a good chance it’s an idea being floated as opposed to an actual, factual thing that’s happening. And so I admittedly didn’t give it a second thought, at least until it became clear that it was—at the very least—something that Sony and Harmon were negotiating about following the confirmed departure of season four showrunners David Guarascio and Moses Port. My immediate reaction to this was confusion. Why would Sony want Harmon to return to a show that he publicly admitted to mismanaging? And why would Harmon want to return to the show after making a show of moving on with his career? After asking variations on these questions on Twitter, I got some interesting responses, and I think I’ve got a clearer sense on the circumstances that would lead to both parties reconciling their differences to work together again on a fifth season; I also think we need to disassociate this development from any sort of idealistic notion that either party is in this for the fans’ best interest.